Before you sign a contract, the estate agent must give you written details of their Estate Agent fees, how much you will be charged and when payments will be due. The Agent must state the exact total fee or the way the cost will be worked out and an estimate of the final amount. Most Agents charge a percentage of the selling price of your property as a commission, usually between 1% and 5%. 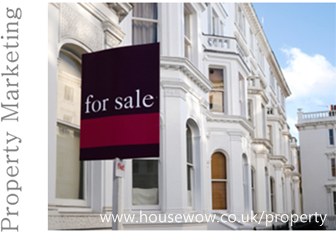 Some estate agents charge a low percentage plus an additional charge for advertising and 'For Sale' boards. In that case, the Estate Agent should tell you exactly how much the additional charge will be. Some Agents charge a higher percentage of the selling price but this includes all costs. Occasionally, an Estate agent may charge a fixed fee rather than a percentage. Remember that if you sell for a much lower price than the valued price then the Agent could stand to gain by contracting what appears to be a lower fixed fee at the outset than a percentage fee would calculate at the lower selling price. It should be clear from the estate agent's terms and conditions when you will have to pay. Fees are usually due when contracts are exchanged, but you don't pay until the sale is completed. This is "no sale no fee" but always check and don't assume this to be the case. If you withdraw early the Agent may charge advertising fees. Under a ready, willing and able purchaser contract, you have to pay as soon as a buyer who is prepared and able to exchange unconditional contracts is found. This applies even if you withdraw your property before the sale is completed. The estate agent may also charge you for 'For Sale' boards and advertising. Some Estate Agents will negotiate fees, especially if your property is well presented, in a good state of repair and is priced realistically. However, be wary of trying to negotiate the fee below a realistic level as this may cause the Agent to reduce the costs of your property advertising to compensate for the lower fee. Some Estate Agents recommend a Home Staging Consultant who can make sure that your property is presented at its best for sale and are willing to wait for your instruction to ensure maximum selling price for you. Some Estate Agents have combined practice solicitors. However consider whether an independent solicitor acting for you can offer more independent services. 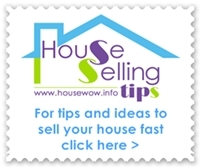 Information on the Estate Agents Act is provided by The Office of Fair Trading.